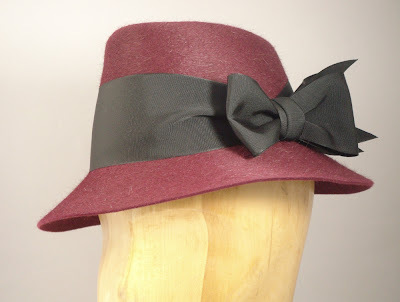 Announcing a brand new hat style from House of Nines Design. 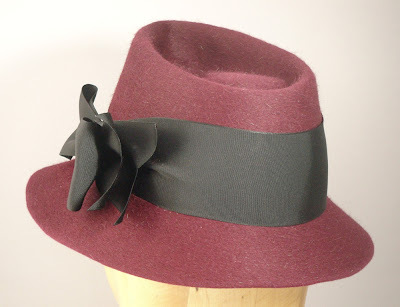 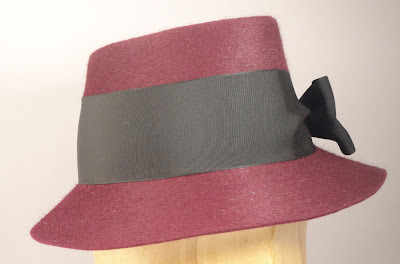 This vintage inspired ladies fedora is high in front with a slightly dropping brim. 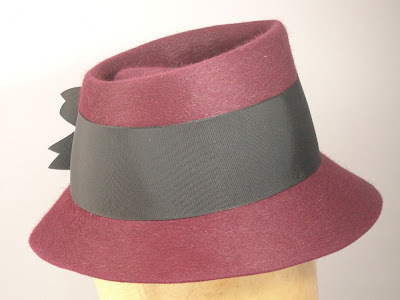 Inspired by 1940s film noir, it's the perfect topper for any date with romantic espionage. 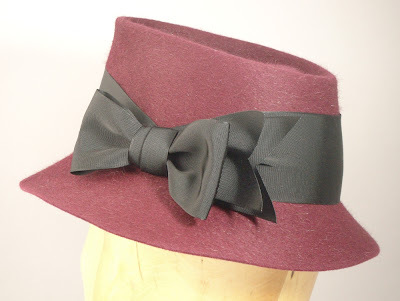 Shown here in wine colored long-nap fur felt with a wide black ribbon band and bow, but it can be made in many different color combinations. 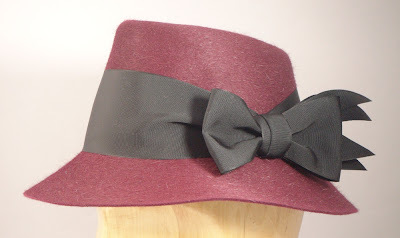 Available in sizes 21.5-23.